Are you hearing an odd thumping noise when turning off water faucets? Many of have experienced that odd banging noise when using a water faucet, and it’s easy to write off as just a quirk of the valves when it’s definitely NOT! This common system noise might lie at the heart of several pressure problems that can cause greater damage. The noise itself, commonly called Water Hammer, is the result of pressure shock in your plumbing lines that can be heard when you shut off a water faucet after it has been open and water was flowing strong. Water hammer can be a big thump that shakes the house, or a series of banging noises starting with a loud bang followed by several “echoes”. Rapidly closing or opening a valve causes pressure transients in pipelines. Sources of water hammer lies on three factors such as length of the pipe the water is traveling through, how fast the water is being stopped and the velocity of the water. The most effective means of controlling water hammer is a measured, compressible cushion of air which is permanently separated from the water system.When the valve closes and the water flow is suddenly stopped, the pressure spike pushes the piston up the arrester chamber against the pressurized cushion of air. The air cushion in the arrester reacts instantly, absorbing the pressure spike that causes water hammer. Click here to read more. For homeowners with time on their hands, your natural inclination is to consider some DIY, so we grabbed some great, helpful advice for you from How Stuff Works: Home & Garden put together a simple solution to stop water hammering within your pipe lines. We think it’s solid plumbing design, too. If you need help tackling problems like this, call our reliable friends at Affordable Remodeling. If you never had hammering and then it suddenly starts, most likely your plumbing system’s air chambers have become waterlogged. You can cure water hammer by turning off the water behind the waterlogged chamber, opening the offending faucet and permitting the faucet to drain thoroughly. Once all the water drains from the chamber, air will fill it again and restore the cushion. If the air chamber is located below the outlet, you may have to drain the main supply lines to allow the chamber to fill with air again. What do you do if there are no air chambers built into your plumbing system? You must do something, because water hammer pressures may eventually cause damage: failure of fittings or burst pipes, for example. Because water hammer is most often caused by water pressure that’s too high, the first step is to reduce the water pressure if possible. Sometimes this isn’t feasible because a reduction in pressure may result in only a dribble of water at an upper-floor faucet if one on the first floor is turned on. More of these solutions can be found here. Before you start raking everyone you meet over the coals, I want you to hear what I am going to say. Not all contractors are alike! You are searching for the best quality work, not necessarily the cheapest bid. In fact, this selection process has nothing to do with bids. It is about interviewing to find the very best general contractor. Professional Hustlers – These men come into town in teams with only one agenda – take advantage of everyone they come across. That is how they make their living. They are experts in targeting older couples and often drive neighborhoods looking for homes in disrepair or chasing after areas affected by weather disasters. They are known for offering “too good to be true” remodeling deals and insisting on lengthy contracts which are not only vague but favor the contractor. They are skilled at extracting as much up-front money as possible before moving on to the next unsuspecting homeowner, without necessarily completing the work. In August 2003, a gentleman named Bill called my office wanting an estimate after hurricane Claudette tore through the area. When I arrived at his home, wet stinky kitchen and bathroom cabinets, carpet and assorted debris were heaped in his front yard! Bill had given a contractor a check for over nineteen thousand dollars to purchase new cabinets, etc. Simultaneously, the contractor’s crew started to demo his home. They piled everything in the front yard and then left. He had tried to call the contractor for two weeks before calling me. Bill’s worst fears had been confirmed when he called the guy’s cell number and heard a recording – “The number you have dialed is no longer a working number.” By then Bill’s check had been cashed. Bill had not thoroughly read the contract before signing it. I am no attorney, but it was clear to me after reading it that the contractor had the right to use Bill’s initial deposit, in this case a check for over $19K, solely for demolition and disposal of jobsite debris. To add insult to injury, the contract did not specify where the jobsite debris was to be taken. So legally, the crew had the right to dump everything in Bill’s front yard. I learned a few months later that the same contractor had convinced one of my subcontractors, a master electrician, to rewire a house. The contractor had collected from the homeowner but stiffed the electrician for almost eight thousand dollars. Drifters – These folks typically spend no more than about three to four years in any given town. They work cheap, drive the junkiest trucks, and frequently ask for emergency loans. You should hire this type of person for handy man work only, like exterior painting and minor carpentry. I met someone like this while visiting Terry, a good friend in Oklahoma. Terry had hired Whiskey Jim to replace a section of soffit and rotten casing on his garage. Besides being absent from the workplace much of the time, Whiskey Jim spent more hours telling stories to anyone who would listen than working. Big Talkers – They are quick to boast about having worked for a good contractor for a couple of years before striking out on their own and are never shy about elaborating on what they know. These folks are typically young, likeable, and drive the most expensive work trucks borrowed money can buy. Now, do not get me wrong – everyone has to start somewhere. In fact, I have contributed a great deal of my time and money over the years training young men who were serious about pursuing this business as a career. However, you have to ask yourself two very important questions before you make the decision to hire him: 1) Can the young man do the kind of work that I expect? 2) Can he financially afford to handle any mistakes or unforeseen problems? Professionals – In it for the long haul, professionals usually have a minimum of ten years of experience, a custom cabinet shop with paint spray booths, granite fabrication services and accounts with specialty vendors. Most have sophisticated computer estimating capabilities for detailing your project by line item costs and detailed drawings. Professionals are capable of telling you when the project will be completed, weather permitting, and will not hesitate putting an estimated completion date in a contract. Now, the work begins! I have compiled a list of important questions you should ask each prospective contractor in order to find the one that is suitable for your remodeling project. Document their responses in detail, so you will have lots of information to compare at the end of the interview process. 2. How long have you had this company? 3. Is your company a sole proprietorship, partnership or corporation? If applicable, what are the names and, contact information for your partners or officers? What are the names, job descriptions, and contact numbers for your office personnel? 4. Who supervises the jobsite in your absence? What is his cell/residence number? 5. Do you conduct employee background checks? 6. What is your company policy for drug testing of employees? 7. Do you currently have construction liability insurance? 8. How much coverage do you have and with what company? 9. Are you willing to provide me with proof of liability insurance? 10. Have you ever had to use your liability insurance to settle a claim? If so, what are the details? 1. How many years have you been in business as a general contractor? 2. Is a general contractor license required in this State, county, or parish? 3. Do you have a current general contractor’s license? What is your license number? When was your license issued? 4. What are the names and credentials of your licensed plumber and electrician? 5. Are you a member of any local or national associations? What are they? 6. What did you do before becoming a general contractor? 7. What are your contact numbers, including cell and residence numbers? 8. In what areas of remodeling do you have the most experience? 9. Do you use sub-contractors, employees or both? 10. What are the names of your subcontractors? 11. How long have you worked with each sub-contractor? 12. What are the names of your employees that will be working on this job? What are their respective job descriptions and lengths of employment with you? 2. Do you have documentation of at least 10 projects with before and after photos? 3. Will you provide me with a list of at least 10 customers and their phone numbers as references? 1. What methods do you use to estimate remodeling projects (computer programs, bids from subcontractors, etc.)? 2. Will you provide me with a sample of a recent estimate? 3. When will you provide me with an estimate for my home? 1. Will you provide me with written weekly progress updates each Friday afternoon and include goals for the upcoming work week in exchange for weekly draws? 2. What time in the morning will subcontractors and employees need access to the jobsite? When will they leave for the day? 3. How many days of the week do your subcontractors and/or employees normally work? 4. Do they work weekends and holidays? 5. What are your policies for subcontractors and/or employees on the jobsite, for example smoking, swearing, playing music, staging of tools and materials, housekeeping, lunch breaks, and vehicle parking? 6. What are your policies for the protection of furniture, fixtures and flooring during demolition and remodeling activities? 7. How many projects do you manage at a time? 8. Do you comply with OSHA requirements regarding safety manuals for your subcontractors and/or employees? 9. Do you have safety meetings? How often? The ultimate goal of this questionnaire is to find the most qualified contractor. So, compile the answers and chose the one who answers the questions best. There are two particular questions that are most important – E1 and E7. You should consider an unsatisfactory answer to either of these questions to be a deal breaker when choosing your contractor. Whether you have a day job or not, odds are you will not be privy to everything performed on a given day unless your contractor communicates with you. For instance, let’s say that you want under counter lighting with your new kitchen cabinets, which you did not have before. Your contractor hires an electrician to install this new service. It can sometimes take electricians days to install new wiring from your electric panel, across the attic, and through the walls to designated areas of your kitchen. The time would be much longer if the electrical panel had to be upgraded. Imagine coming home after a long day at work, expecting to see lots of new and exciting changes. Unaware that the electrician had worked in your attic all day, the first thought in your head just might be – nothing has been done! In the meantime, your contractor has left the job-site to pick up supplies, feeling confident that all is being accomplished as planned. Can you see how this could be a recipe for mismatched expectations? Envision your home after two weeks into a remodeling project. It is in complete disarray, and you cannot wait until the project is finished. Now, picture your contractor not showing up on week three, because he is on another project. Need I say more? I cannot begin to tell you how many jobs I have gotten simply because I promised the homeowner to only work on one remodeling project at a time. And, I meant it! Drivers who have needed a new transmission for their vehicle are familiar with how expensive a new transmission can be. Car owners who notice their vehicle has an issue will hope it’s not the transmission. The high cost can often be attributed to an improper or incomplete diagnosis. Whenever you need transmission service choice-repair or replacement-these are few things a qualified technician will consider. There are a number of repairs that could restore your transmission’s optimum performance, such as valve body replacements and solenoid packs. Repairs can be performed on your transmission that would prevent a complete overhaul or replacement of your transmission. When you go into have your transmission repaired, make sure that your mechanic is transparent and letting you know exactly what’s being done/replaced. There are several parts to a transmission that could be the cause of your failed transmission service. This is where the expense comes from for any transmission service, the cost of any replacement parts. It may be possible for an experienced, certified technician to identify and repair these parts instead of replacing the whole transmission. Malfunctioning parts or parts that are old should be diagnosed by experienced technicians. These are just a few of the more obvious signs of transmission troubles: hard shifting, check engine light, noisy transmission, and immobility among others. Some mechanics will diagnose a complete rebuild and replacement before it’s absolutely necessary. A transmission repair expert with the skills and experience will be able to communicate exactly what they’ve found through a thorough diagnosis. If there are too many faulty parts within the transmission, it should be taken out and further inspected. A replacement may be the best option, but a technician who performs your transmission repair in Greenville SC needs to be able to provide a complete diagnosis to know the condition of your transmission. So we reached out to our favorite locksmith in Greenville SC for a few tips, and we’re sharing one here that will definitely come in handy around the house.If you have a lot of interior doorknobs with key locks on them, sooner or later you’re bound to lose the key or lock them inside the room. Here’s what to do to get back in. When one of my interior doors got locked with the keys inside recently, I learned all I ever wanted to know about lock-picking and doorknob assembly. Locksmiths are expensive, so let me share everything I tried and show you how I eventually got the door open. Insert the flattened end of the paperclip above the tension wrench. Push it in until you meet resistance. This is the first pin of the lock. Push up on the pin with the paperclip to try and move it out of the way. When it works, the tension wrench will turn a little further. Hold the wrench in this position, still applying pressure so the pin doesn’t drop back down. Take the paperclip out and push it back in again. When you meet the resistance of the next pin, push up on it as well until it moves and the tension wrench turns. Repeat this procedure with the rest of the pins until the lock opens. Some lever-type doorknobs respond nicely to the credit card treatment and let you pretend you’re a secret agent while you get the door open. wikiHow says just slide the card into the crack in the door, right where the lock is. Tilt the card so the side that’s closest to you is almost or is touching the doorknob. Push it until you feel it slide in more. Bend the card the opposite way, forcing the lock to go back. Quickly open the door. It is a good idea to lean against the door while doing this, which will help it to pop open. If you want to go all MacGyver on the locked door, grab a vacuum cleaner, dental floss, and a piece of paper. Use the step-by-step guide over at Instructables to show that locked door who’s boss. Sometimes, no matter what you do, the lock just won’t budge. In that event, it’s time to just remove the entire assembly. Slide a butter knife under the collar where the doorknob meets the door and pop the collar loose so you can get at the screws holding the doorknob together. Once the screws are removed, the doorknob will come apart and you’ll be able to easily slide back the mechanism holding the door closed. If all else fails, there’s nothing a hammer wont fix. First, give the doorknob itself several good poundings until it’s good and dented. This does absolutely nothing to help unlock the door but it’s a great way to get back at the lock that’s giving you so much trouble. Next, insert the claw end of the hammer underneath the top of the doorknob’s collar. Put a stiff piece of cardboard where the hammer meets the door to protect the paint. Cover the knob with a thick towel in case metal parts go flying, then yank the hammer down hard. Do this a couple of times until the screws holding the doorknob together snap. When you go to the hardware store to buy a new locking doorknob, be sure to have some spare keys made while you’re there. When looking for a way to rejuvenate worn concrete floors, it is best to go with a micro topping which will coat the floor with a protective barrier as well as help the floors last longer than they would without the micro topping. You have a variety of different choices as to the look you want from the micro topping as well as how you can have this process completed. The most convenient and efficient way to have this done is to hire a concrete contractors St. Louis to get the job done not only right but fast. When hiring a contractor to complete any job, you will want to do your research and find as many companies that possess excellent reputations as possible. Once you have a list of the top 10 contractors in the area, begin calling to get quotes as well as their contractor’s license number to check about the validity of their license. You can then use this information to narrow down the pool of options to about 3 to 5 contractors before meeting with them to look at your options. After you have spoken to the contractors you will be working with you should be able to choose one based on price, license validity, and how well you get along with the contractor. Be sure to speak with the contractor about the options that you have available to you for the colors and designs of the micro topping. 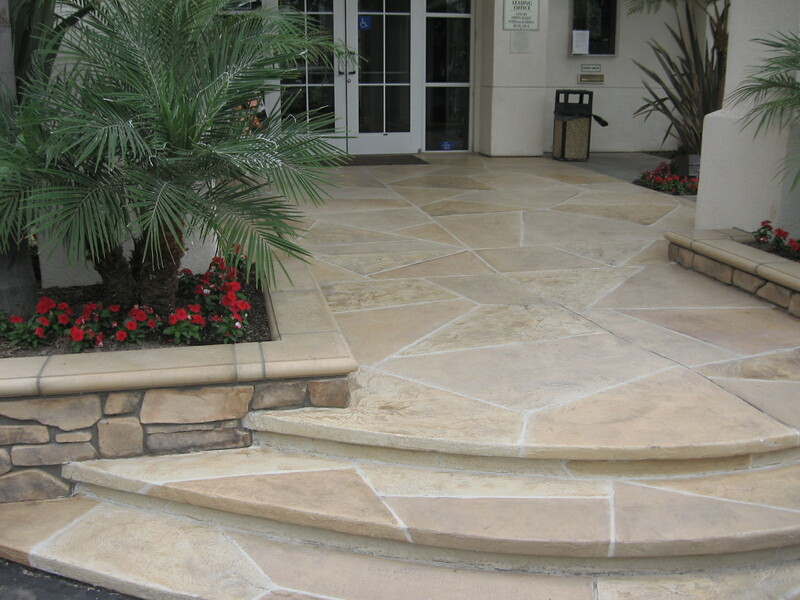 This will allow you to make the floor look unique and fit into your home better than concrete that hasn’t undergone micro topping. The finish will also protect the concrete floor from stains as well as dirt and grime that can get caught into the pours of the concrete making it difficult to clean when you wish to do so. Each contractor will likely make a couple of suggestions that you can choose from, however the choice is completely yours and discussing your options will allow you time to think before settling on a choice that you will need to live with until the micro topping wears down or needs to be redone. Your contractor may even suggest specific brands as well based on the knowledge he or she has gained in working with the finish, and it should be taken into consideration depending on the life time of the micro topping. Whenever you have a requirement for key duplication and replacement for custom locks and keys, you can always hope to depend on your locksmith. Modern day locksmiths have evolved to include latest technology, tools and skilled human resources in their services. Gone are the days when an elderly gentleman came and fixed your key duplication problem and charged you an awfully heavy fee. Most of the service providers use electronically operated tools like lock-pin guns, air-guns, cabinet lock-opening tool and others. This helps them in easing their work and saves time and money for you. If your car is modern in technology and design, it is better for you to call someone who uses electronic equipment and tools. There is another hitch when you are dealing with branded cars and household locks that are still under warranty. Most of the times, you may feel like calling the original vendors or any of their customer service centers. But when you go through their transportation and allied charges, you may feel like calling your friendly locksmith instead. This is because only the service will be under warranty and hence free of cost. The transportation and allied charges will always be mandatory. When you call your locksmith for replacing or duplicating a custom locks and keys make sure that you give ample amount of time for the technician to analyze the design of the lock. This will help him in quickly shaping the right key fast. It is a better practice to call known people from registered a locksmith in Asheville, especially when you are calling them to your home. This will help alleviate your apprehensions about their reliability as well as trustworthy nature. If you have any such apprehensions also, you can always replace the lock with a new set and ensure safety of your valuable property. Some of the custom-locks come with digital combination of passwords which would be complex in nature. If you are using any such locks which need to be opened, you better call those experts who have experience in electronic-locks. They will be able to serve your purpose better. Though it is a practice to look for inexpensive service providers, it is always a good practice to hire a skilled locksmith with some experience. This may cost you a few $s more, but it will always be economical and efficient services, when you consider the property value which you are protecting and the ease with which you are getting the locksmith services to your specified location.